The Muramatsu EX-RE has a solid silver head joint, silver plated body and silver plated open hole keywork mechanism. Since the first Muramatsu Flute was created in 1923 by the late Koichi Muramatsu, thousands of artists throughout the world have chosen Muramatsu over all other makes. The inspiration given to Osamu Muramatsu by his father is felt by the staff, who are instrumental in making the worlds finest Flute. The research department constantly seeks to improve the instrument and their endless efforts are creating the unique Muramatsu sound prized by artists in every part of the world. Extensive technical research in the Muramatsu laboratory has led to the development of the amazingly accurate Muramatsu scale, acclaimed as the finest available. 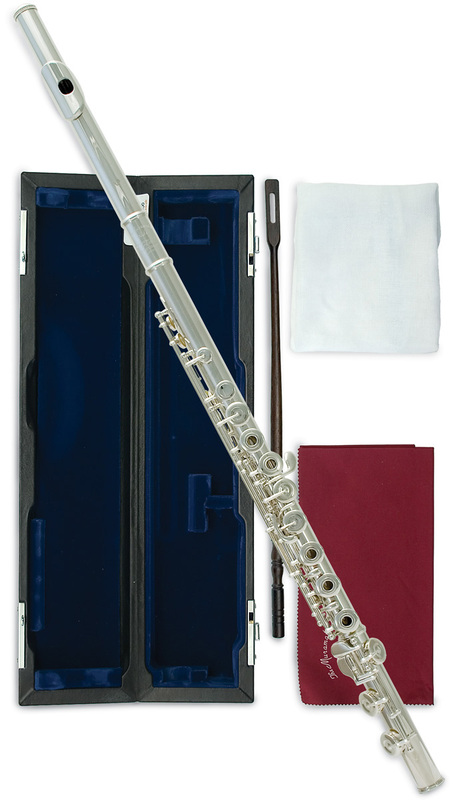 All Muramatsu Flutes are supplied complete with a deluxe case.